And since it’s in “season”, This “Football Tee” from Monrow is one of my very favorites. Like one of those I always want to wear again before it’s made it through the wash ;). It’s so comfy, and it’s on SALE. 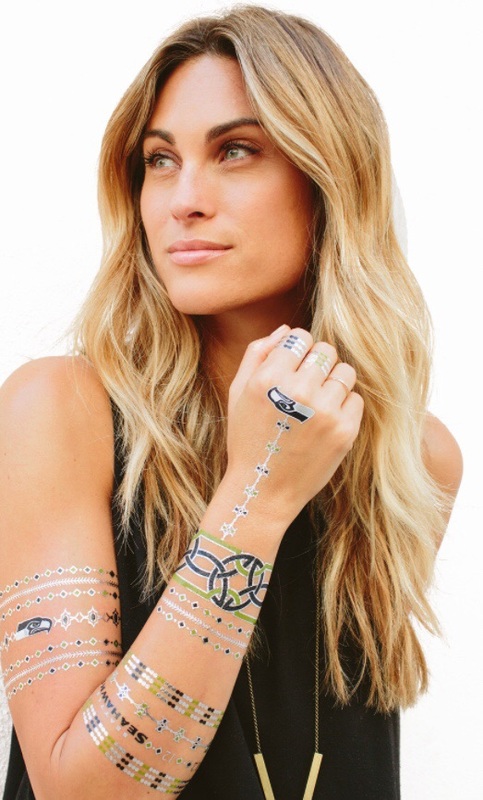 Speaking of football, if you like it at all you need to check out Lulu DK’s new NFL tattoo line. 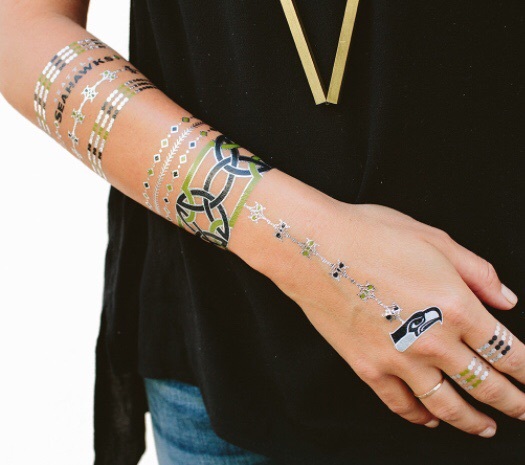 Seriously the BEST way for ladies to show their spirit. Of course I’m biased and love my Hawks, but she’s got your team here. Seahawks play the Bengals this Sunday! (You can get tattoos for the Bengals too, but who wants that when you can get Seahawks stuff?) Go Hawks!